Southwestern Oregon has always been a great place to live. Wherever you go in the region, you’re probably walking where our ancestors lived their lives, gathered their food, and buried the remains of their loved ones. Physical evidence of our ancestors’ presence is rarely obvious, but artifacts and bones lie beneath many well-used local places. Just like anyone else, we feel heartsick when our ancestors’ resting places are violated. Oregon law prohibits vandalizing or excavating cultural resource sites and removing artifacts, whether you’re on public or private land. (ORS 9.745 358.920 & 390.235). Please, give our deceased family members the same respect you would give your own. Collecting data in a controlled and scientific manner yields a better understanding of the past – an impossible goal if sites have been disturbed and looted. The Youth Corps provides work experience and career exploration to Tribal youth. To archaeologists, fragments of the past tell a story about those who lived here before us. Please, look and learn, but leave things untouched so the story can endure. You can enjoy cultural resources without damaging them or taking them home. Draw a picture or take a photo instead. If you encounter an artifact, and you think you might be the first person to find it, please leave it where it is. Contact Oregon’s State Historical Preservation Office or the closest Indian Tribe. Archaeology is like detective work, and an archaeological site is like a forensic scene. When an artifact is removed from its resting place, we lose a piece of the puzzle. Look, but don’t touch. Artifacts like a bowl or arrowhead may carry plant or animal residue. The residue can tell archaeologists how and when the tool was used. That opportunity is lost if you touch the artifact. You might think picking up a single arrowhead is harmless. But if everyone who visits a site picks up one thing, the site won’t last long. If you already have artifacts in your possession and you’d like to return them to the Coquille Indian Tribe, please contact our Tribal Historic Preservation Office. If you encounter artifacts during construction, stop work and cordon off the area. Contact the State Historical Preservation Office and nearby Tribes for instructions. Work should not resume until the site has been evaluated. If you find bones, consider that they might be human. If you’re not sure, professionals are available who can help you with identification. Follow the Oregon protocol for discovery of human remains. Don’t worry! An inadvertent discovery does not mean that your project will be canceled. State and Tribal authorities can’t seize your land. We are here to work with you to make sure cultural resources are handled lawfully and respectfully. 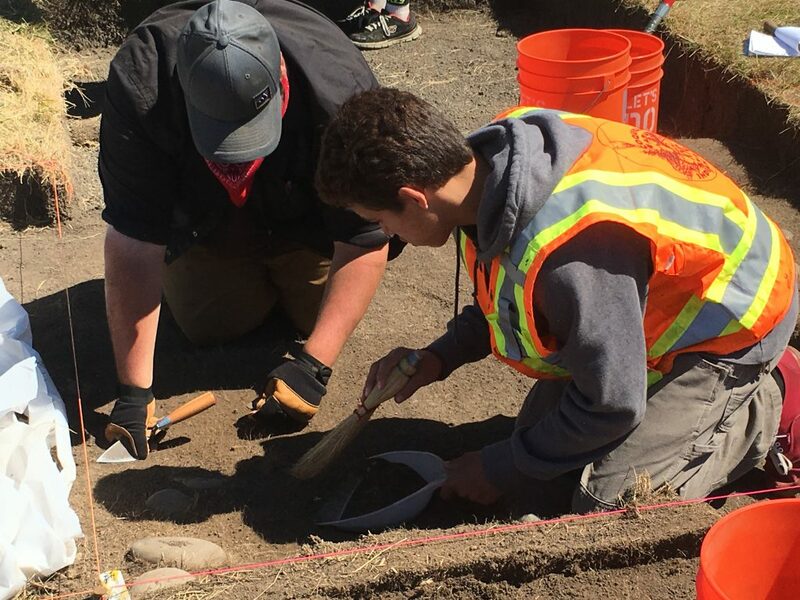 The Coquille Indian Tribe works closely with University of Oregon, Oregon State University, and Southern Oregon University, sponsoring anthropologists and archeologists who work with Tribal members to research and document the ancestral past. 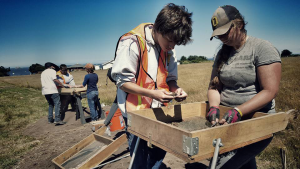 Major archaeological projects have been conducted along the Coquille River near Bandon, at fish weir sites, and along the bluffs and shorelines of Oregon’s South Coast. This research shows that humans have used and occupied the lands and resources of the coastal region for thousands of years. 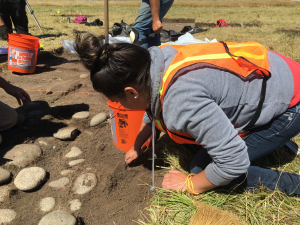 Tribal archaeologists and historians also work closely with state and federal agencies and with other Oregon Tribes to protect, preserve and interpret cultural sites and resources on public lands. Though much of the past has been lost to time and circumstances, much still remains. Tribal archives contain more than 100,000 pages of historic photos, letters and documents, and government records. Federal, state and local agencies seeking to contact the Coquille Tribe for NHPA Section 106 or Goal 5 project review should email THPO@coquilletribe.org or call Tribal Historic Preservation Officer Kassandra Rippee at (541) 756-0904, ext. 1216.